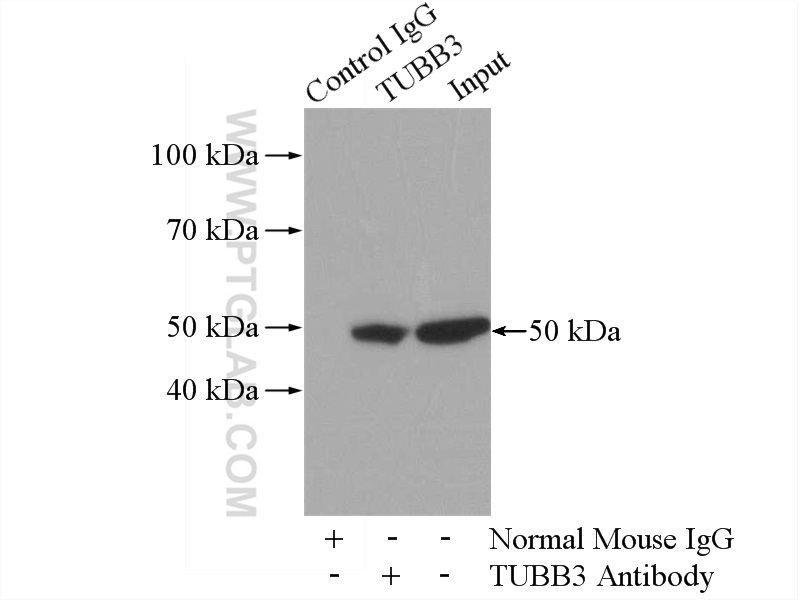 IP Result of anti-beta Tubulin (IP:66240-1-Ig, 5ug; Detection:66240-1-Ig 1:1000) with HeLa cells lysate 880ug. 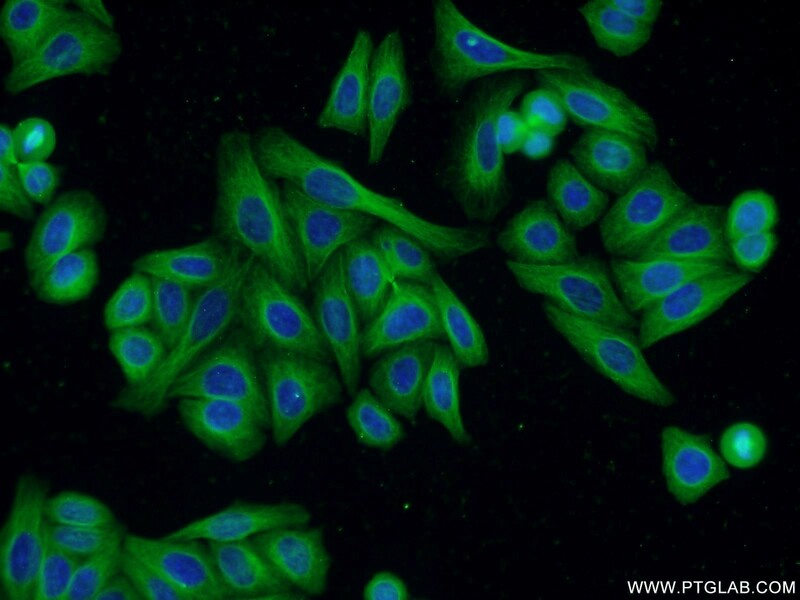 There are five tubulins in human cells: alpha, beta, gamma, delta, and epsilon. Tubulins are conserved across species. They form heterodimers, which multimerize to form a microtubule filament. An alpha and beta tubulin heterodimer is the basic structural unit of microtubules. The heterodimer does not come apart, once formed. 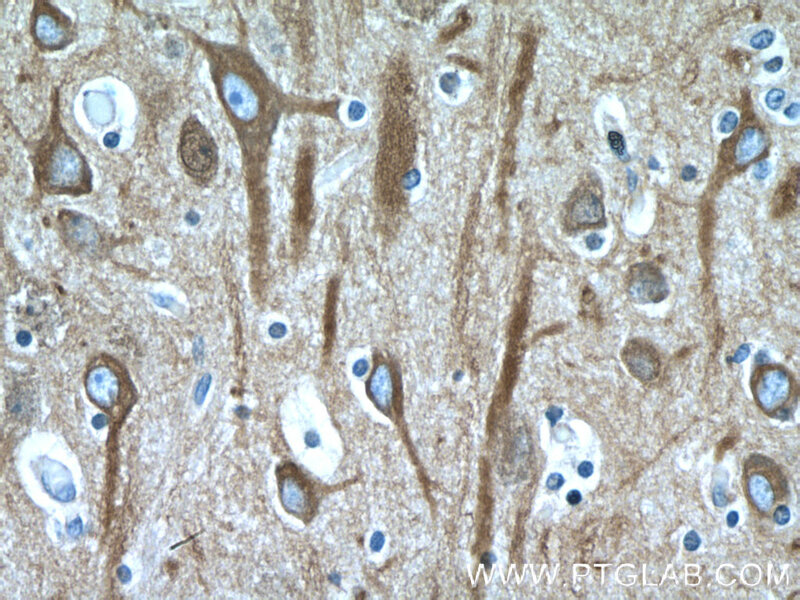 The alpha and beta tubulins, which are each about 55 kDa MW, are homologous but not identical. Alpha and beta tubulins have been widely used as loading controls. 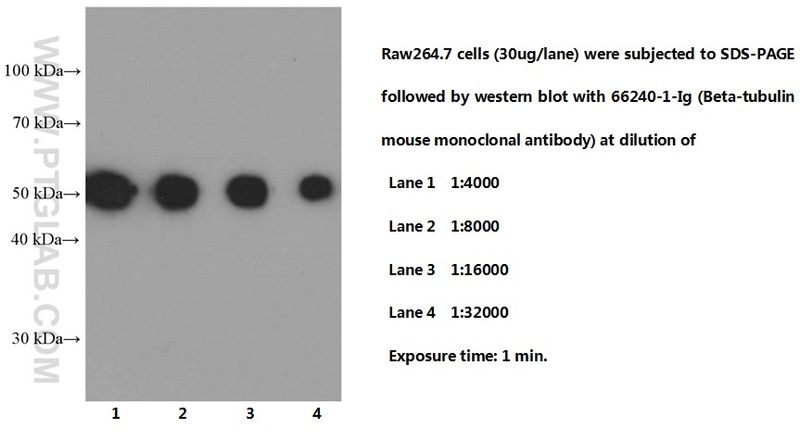 Tubulin expression may vary according to resistance to antimicrobial and antimitotic drugs. MicroRNA-17-92 regulates myoblast proliferation and differentiation by targeting the ENH1/Id1 signaling axis. Brown adipose tissue in obesity: Fractalkine-receptor dependent immune cell recruitment affects metabolic-related gene expression. Multifunctional Gold Nanoclusters-Based Nanosurface Energy Transfer Probe for Real-Time Monitoring of Cell Apoptosis and Self-Evaluating of Pro-Apoptotic Theranostics. 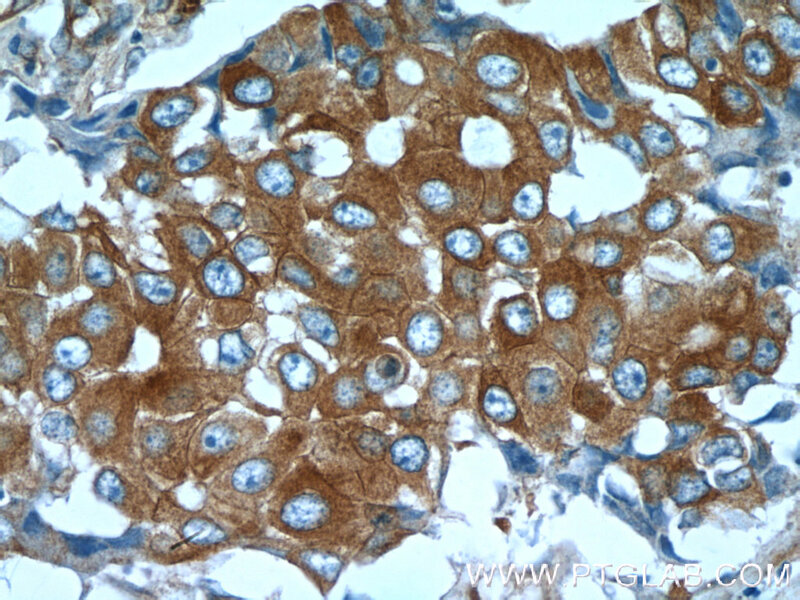 Sclareol inhibits cell proliferation and sensitizes cells to the antiproliferative effect of bortezomib via upregulating the tumor suppressor caveolin-1 in cervical cancer cells. 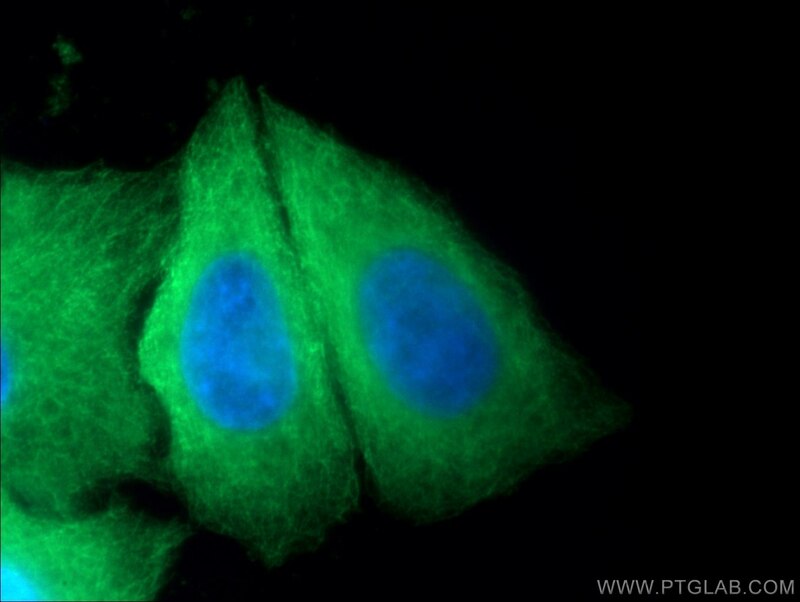 RNA-sequencing dissects the transcriptome of polyploid cancer cells that are resistant to combined treatments of cisplatin with paclitaxel and docetaxel.